One of the best-known and most stirring American poems, brilliantly edited by Stephen Mitchell, now available in the Shambhala Pocket Library series. 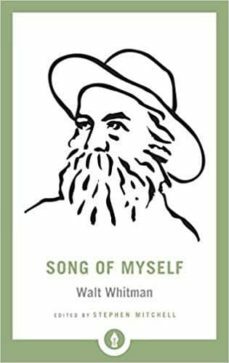 Song of Myself may be the greatest poem ever written by an American. First published in 1855 as part of Leaves of Grass, it was revised and expanded by Whitman in subsequent editions in ways that sometimes undermined its original freshness and vitality. Stephen Mitchell has gone back to the first edition and painstakingly compared it with the later versions, substituting only those revisions by Whitman that improved the poem. Here is Whitman at his most wild and raw, as large and lusty as life, fulfilling his promise to all future generations: I stand on this spot with my soul.